when I have some money to spend , I will start "digging" and buying books and catalogs about these thematic. 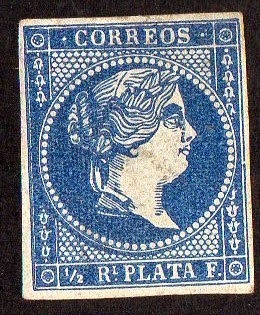 I think this is a part of our hobby, that has been neglected for too long.. different countries have their own data about their stamp designers ( when it is available..) , but there isn't a centralized place with all these information about the different countries..
the stamp represents Queen Isabella II of Spain.. ; there were 3 different emissions with this design, in 1855, 1856 and 1857..they differ in the paper used .. 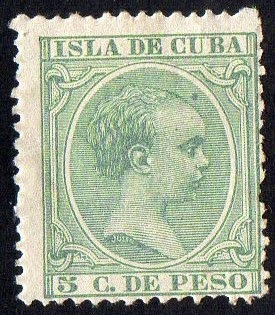 I managed to classify this stamp only because it is the only blue stamp on white paper.. the other one present in this 3 emissions is "Greenish blue" on blue paper ( the 1st stamp of Cuba..)..so , there is yet no possibility for me of distinguish some papers by touch or by another more "advanced" knowledge, that only appears with the pass of years..
from a series (3) 1857 "Queen Isabella II of Spain"
from a series (4) 1875 "Spain's Coat of Arms"
from a series (6) 1878 "King Alfonso XII of Spain"
In my opinion , King Alfonso XIII of Spain was poorly represented in Cuba's Philately (fortunately , for the Cuban's...) ... these are two of the "less accomplished" Alfonso XIII stamps , if we compare them with the type "Medallón" or Vaquer" series from Spain..
[Left] similar in design to the "Pelón" series of "King Alfonso XIII" (Spain) , the stamp belongs to a series (24) "King Alfonso XIII (1890/1897)"
[Right] from a series (20) 1898 "King Alfonso XIII". 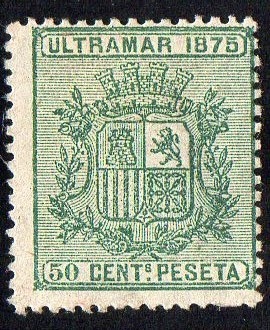 I will start with some stamps from a period where successive repetitions of the same designs , sometimes differing only in small or very small details, difficult the classification of the stamps..
First aspect we have to consider is that South African stamps of this period can have labels either in English or Afrikaans; sometimes the stamps were issued in pairs , one for each language.. catalogs always deal with these stamps differently : as pairs, single English or single Afrikaans stamps ( with different catalog values for each one of these possibilities..). 1st) this stamp represents a 'Springbok" , that is a gazelle very common on South Africa.. the importance of this animal is highlighted by the fact of it's presence in several of the watermarks of South Africa. from a series (23) 1933/1954 "Various Designs"
2nd) it is a 'Rose Carmine & Grey Black' stamp from the same series..the stamp represents the 'Drommedaris' , Jan Van Riebeeck's leader ship from the fleet that arrive to Cape in 1652 , with the purpose of establish a station for the East India Dutch Company. 3rd) from the same series, we have a pair , with both languages, 'Carmine & Black"
great resource's from South Africa , not only from Gold but from other minerals and metals with high economic value. the two stamps differ in it's size..
the search for the designer of this series has taken me a great amount of time... and in the end , I've got no results ; even now I spent the last hour or so , in a last attempt to find a name.. many pages about this series, and nothing...(but it was useful in many other ways...).. perhaps , the artist belongs to the Postal service , or the name is in front of everybody who have a South Africa Catalog...! well, I give up.. 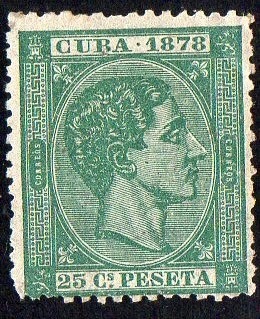 The first 4 stamps of this (14) series have Perf: 15 x 14 and the others 14 ; the 3d stamp is damaged and waiting for substitution. 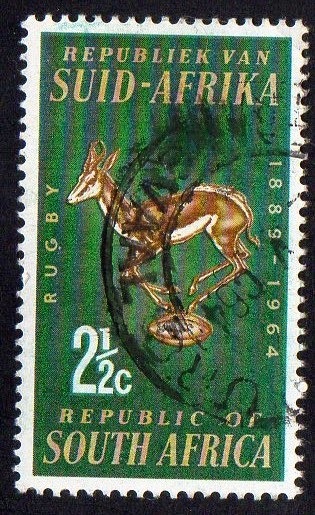 [Left] Complete series 1964 "75th Anniv of South African Rugby Board." the remaining stamp is from a series (3) 1992 "Environmental Conservation"
To finish this long post, more wildlife stamps have joined us..
1)2)from a series (19) "Endangered Fauna (1993/1995)", with Scientific labels in Latin..
3) it is a 45c stamp, but with no currency label.. it is a stamp projected for standard mail. [Des] Denis Murphy : (b 1935/ d 2012) Wildlife painter ,received numerous Honors and Awards for his Art work and for his work in Philately.. Designed stamps for several countries in the South of the African continent. The last stamp is from a series of (40) "Endangered Fauna (1998/2000)" ; the stamp itself has no currency label (Standard mail 1.30r) and no frames.. Thanks for this post. 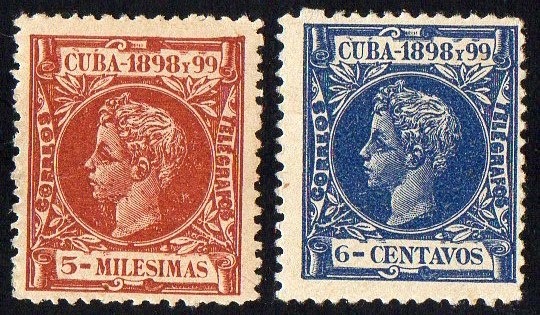 I particularly enjoyed seeing those old stamps from Cuba and am looking forward to seeing what you add to the collection next.